Heirloom quality rosaries made in a very affordable option. White Bronze rosary parts are super strong and give the look of antiqued Sterling Silver. These rosaries are made with Stainless Steel wire for a sturdy and economical construction that also looks like aged Silver, but will not tarnish or wear. 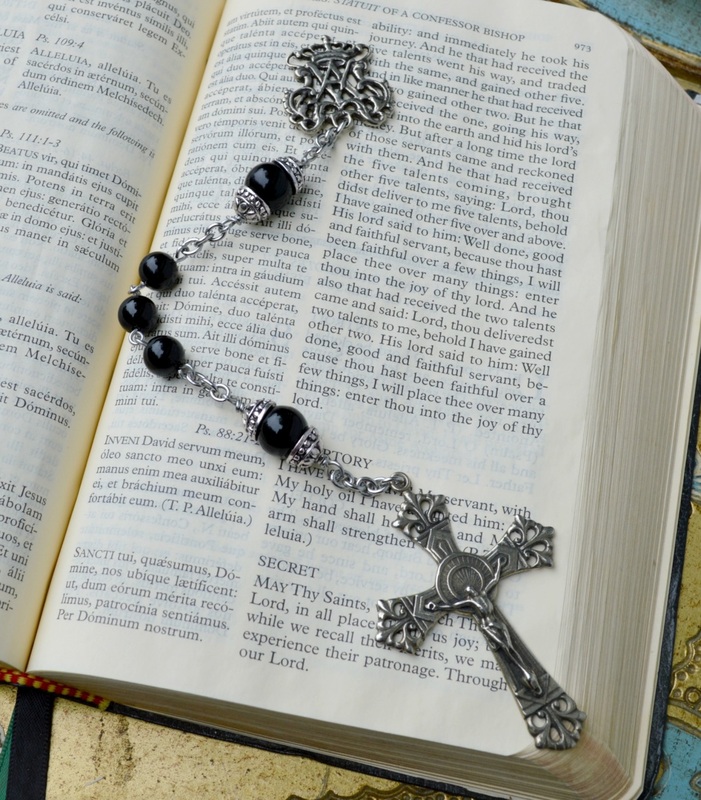 Choose the White Bronze and Stainless steel rosary for a strong affordable rosary that will last for generations! Custom Order options shown below. Please allow 2 weeks for construction.